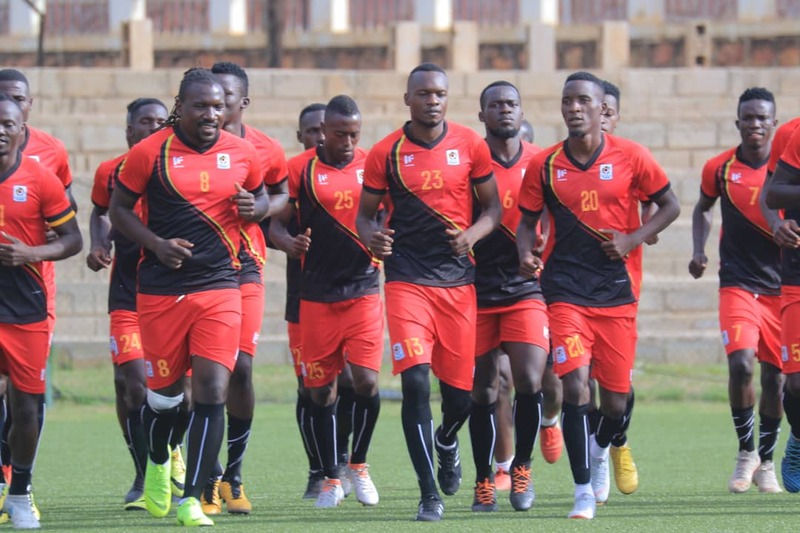 LUGOGO – With just over a week to the last AFCON qualifier against Tanzania, the Uganda football National team, the Cranes on Wednesday conducted their third training session with 28 players available. SC Vipers players finally joined the others, a day after they were knocked out of the Stanbic Uganda Cup at Lugogo by Proline. Meanwhile Police’s duo of Juma Balinya and Paul Willa didn’t participate in the training session because they were hosting Paidha Black Angels in the StarTimes Uganda Premier League, on the same day. Mbarara City’s Ivan Eyam also missed the session because his club also were facing Ndejje University in the League. The session involved ball work, body stretching drills under the Head Coach Sebastian Desabre and his assistant Matia Lule. In other news, right winger Herbert Bockhorn might wait longer before making his long awaited debut for Uganda Cranes. Bockhorn suffered an injury set back, just 11 days to the Uganda Cranes away match against Tanzania Taifa Stars. Also Denis Iguma won’t be among the cranes team because of injury and he will be replaced by Kerezistone Ntambi. The selected nine local players will join the other foreign based in Cairo Egypt for a residential camp until they set off for Tanzania on the 23rd.